- Got Stone Chips and Scratches on your loved car's paint? - Too Expensive to send for repaint job ? - Why not Touch-Up by yourself and save your money ? Now you can recover your loved car’s paint scratches and stone chips by your own without sending to painting workshop. The cost is much more cheaper than normal repaint charges and the result just looks like its original condition ! START NOW! TOUCH UP YOURSELF AND SAVE YOUR MONEY! STEP 1 : Find your car's COLOR CODE by refer to Color Code Location guide. STEP 2 : Choose your COLOR CODE for EZY Basecoat from color list. STEP 3 : Choose either order by Single Bottle or by Combo Set. 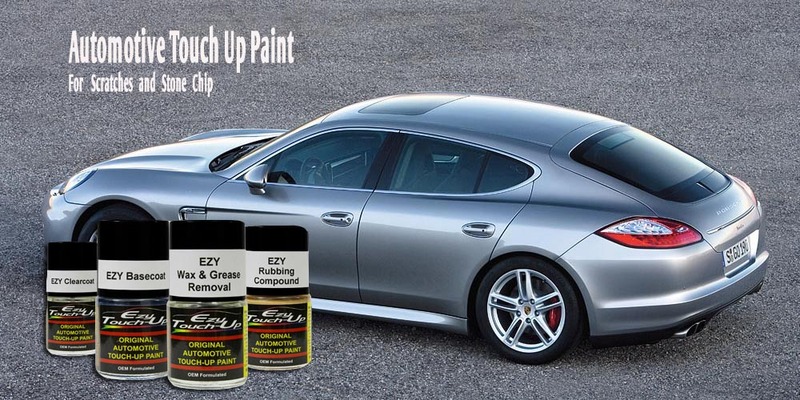 EZY Basecoat is just the color layer, you need to clean the repairing surface by EZY Wax & Grease Removal for better adhesion and apply EZY Clearcoat for color accuracy and final optimum protection. First time order? Please check the FAQ for more details. Copyright © 2019 Ezy Auto Care Marketing. All rights reserved.